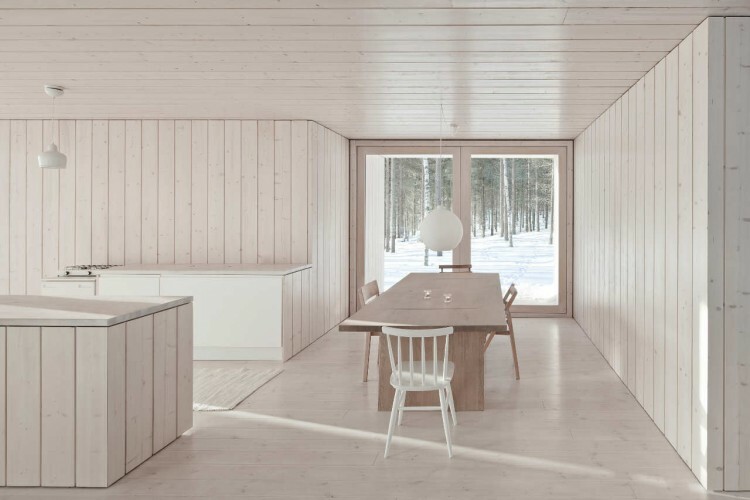 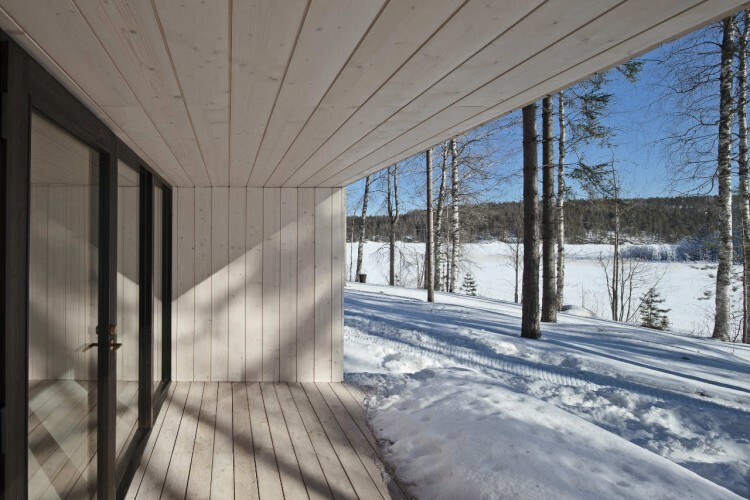 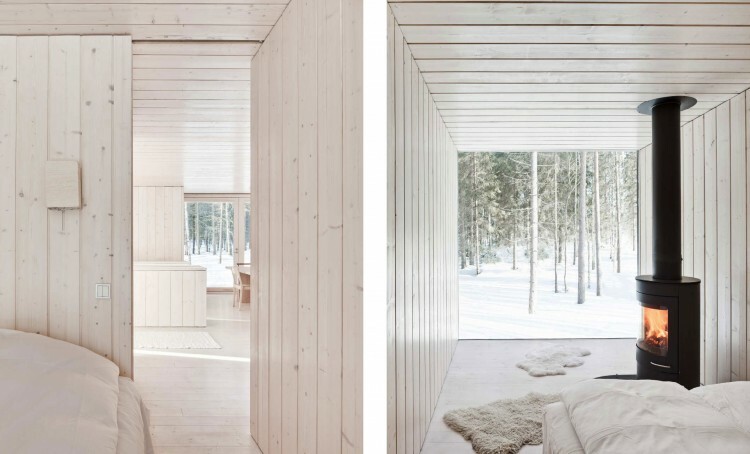 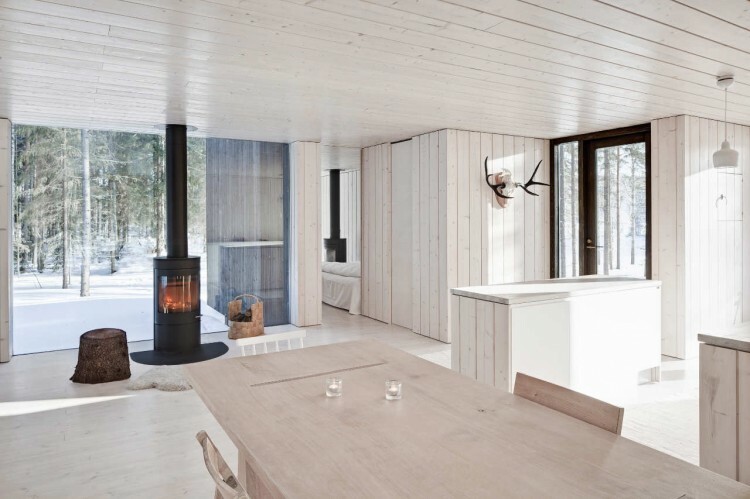 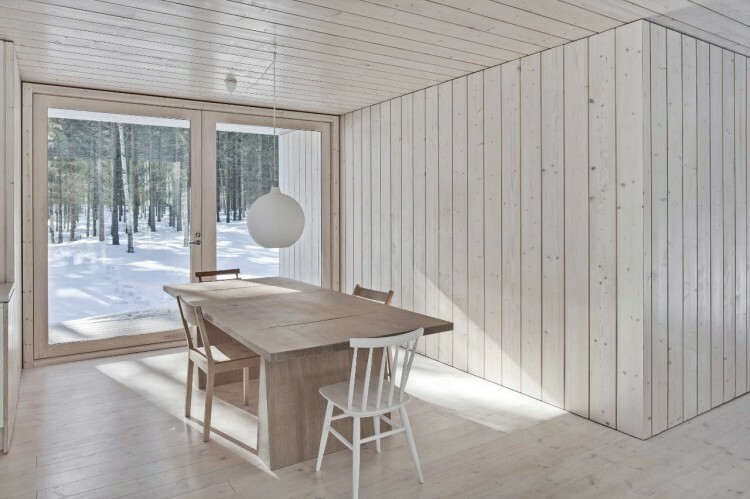 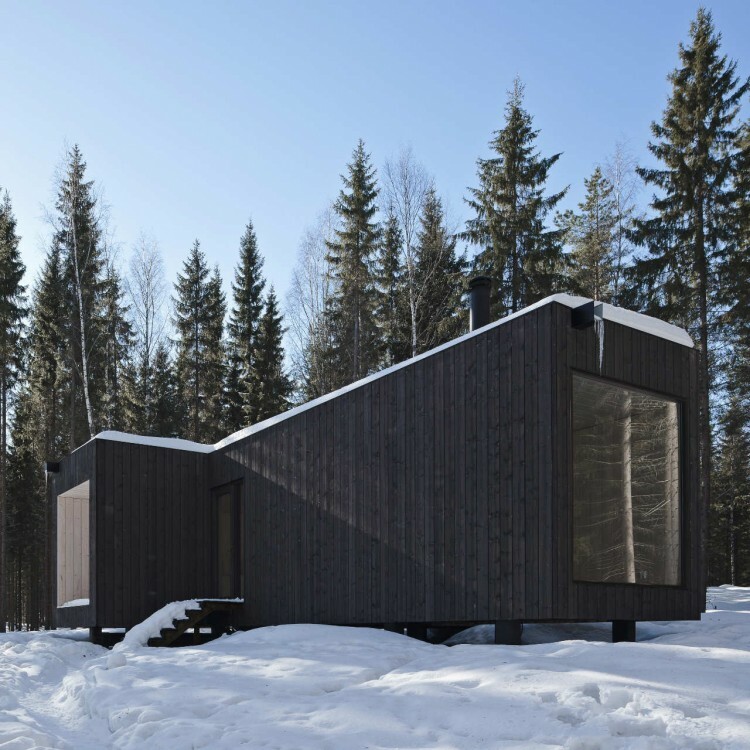 Anu Puustinen and Ville Hara from Helsinki-based studio Avanto Architects have designed this contemporary cabin for themselves. 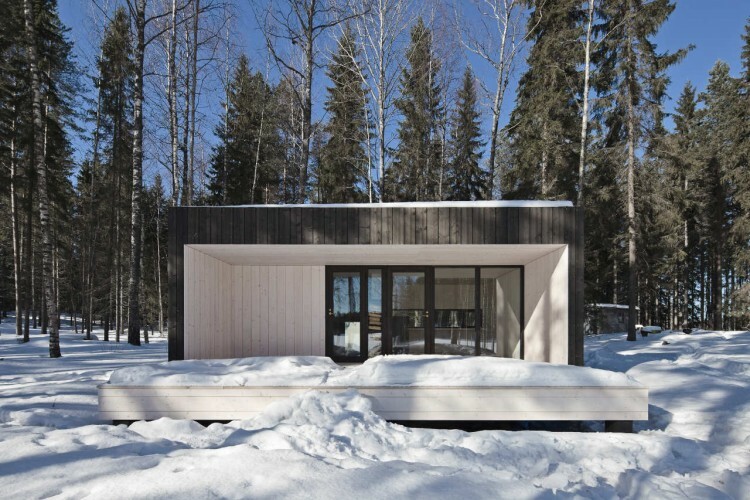 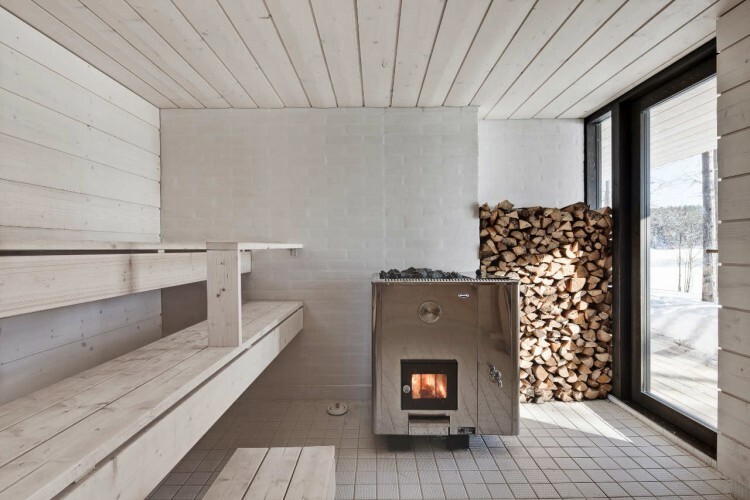 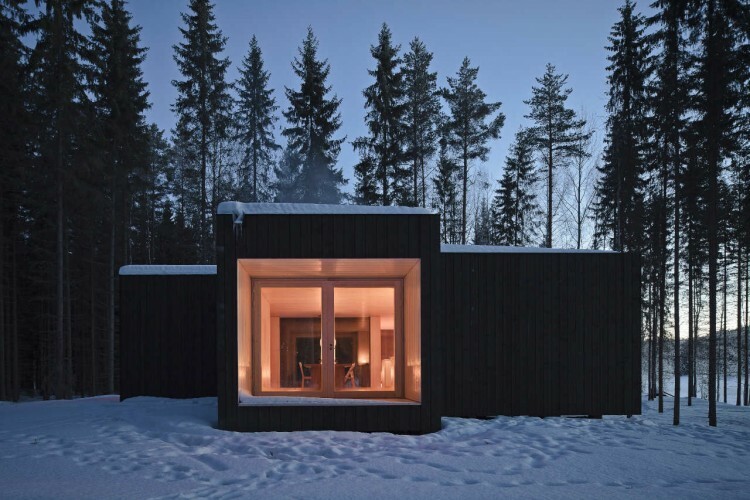 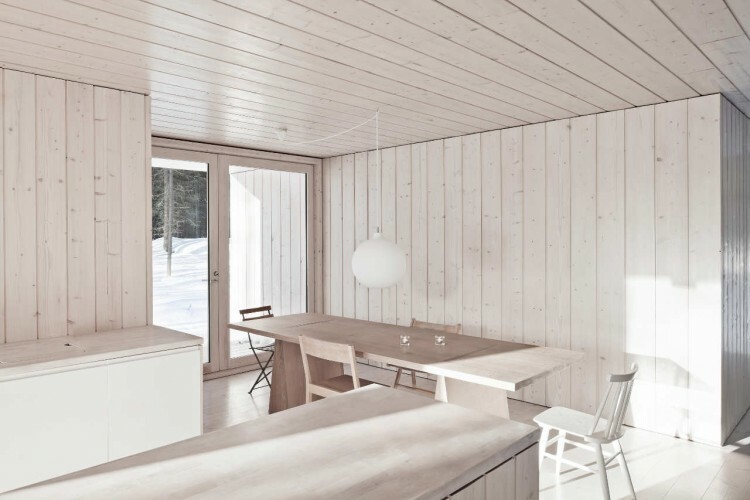 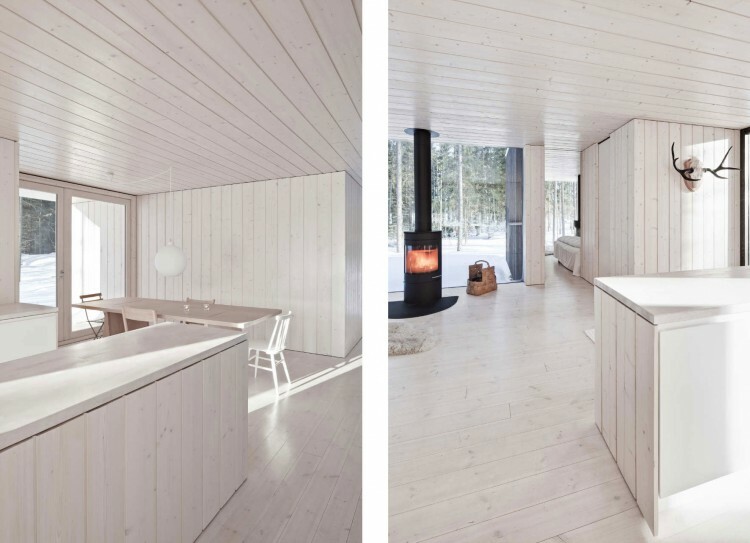 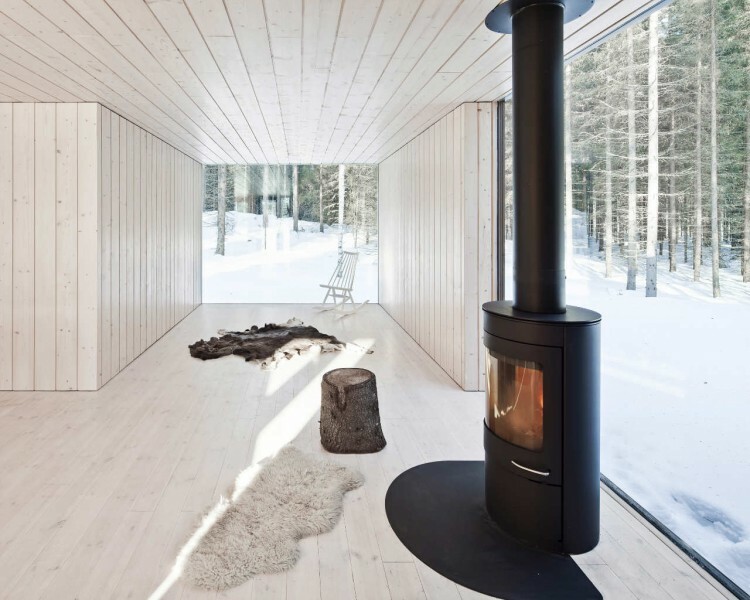 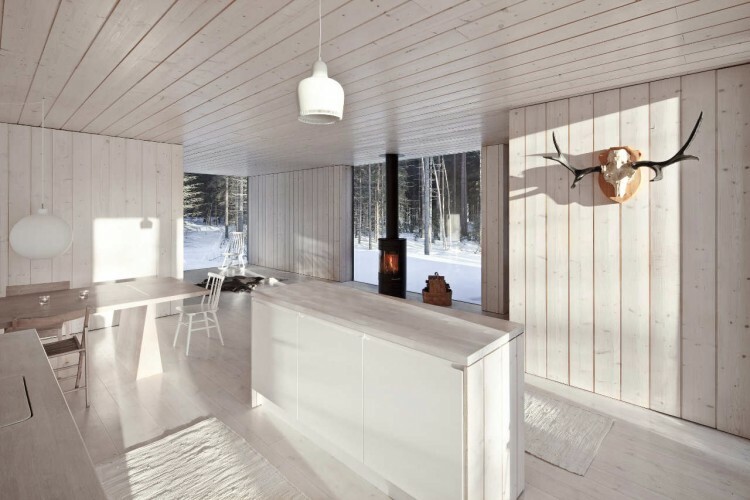 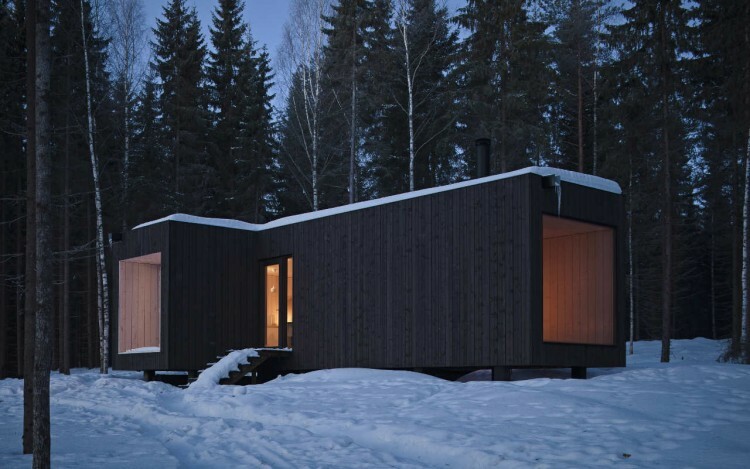 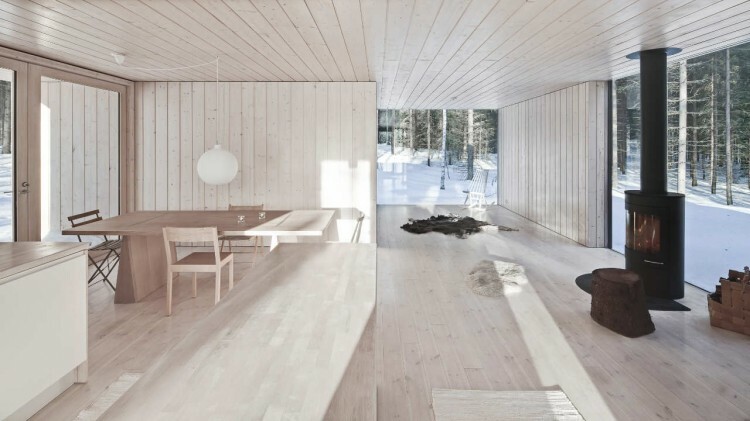 Located in Virrat, a small town in Finland 170 miles away from Helsinki, this 839 square-foot black and white cabin has no running water nor electricity. 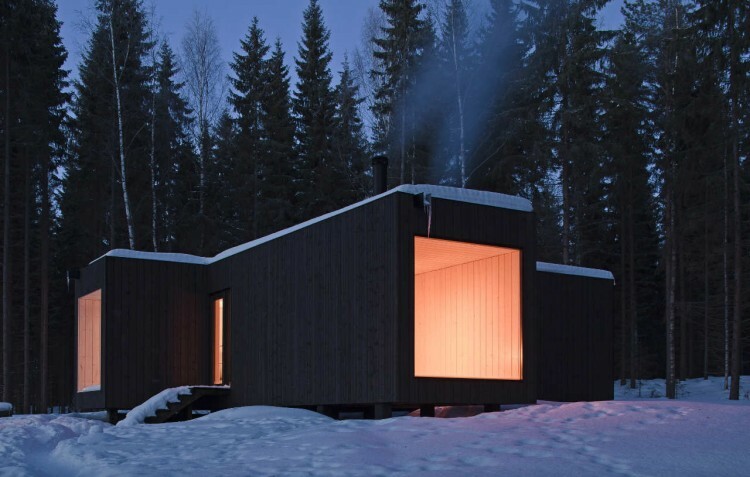 Heated only with wood stoves, far from the city noise, the cabin offers restful tranquility and relaxed pace of life with a minimum impact on its environment. 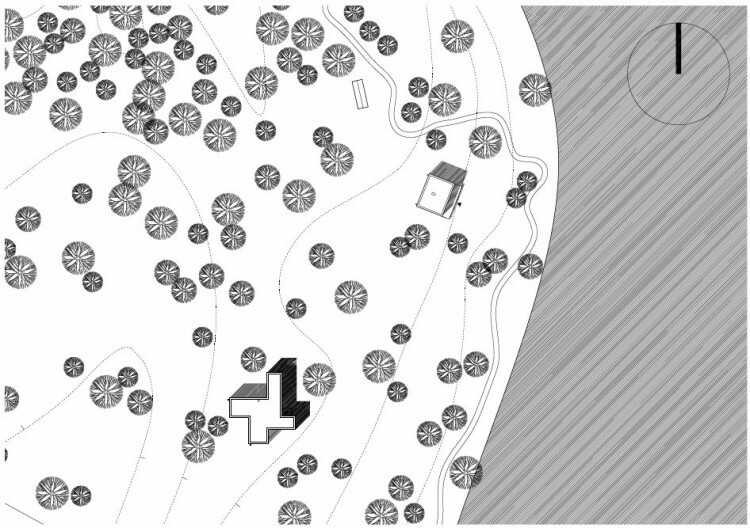 “The site is situated on a horse shoe shaped island and faces north and east. 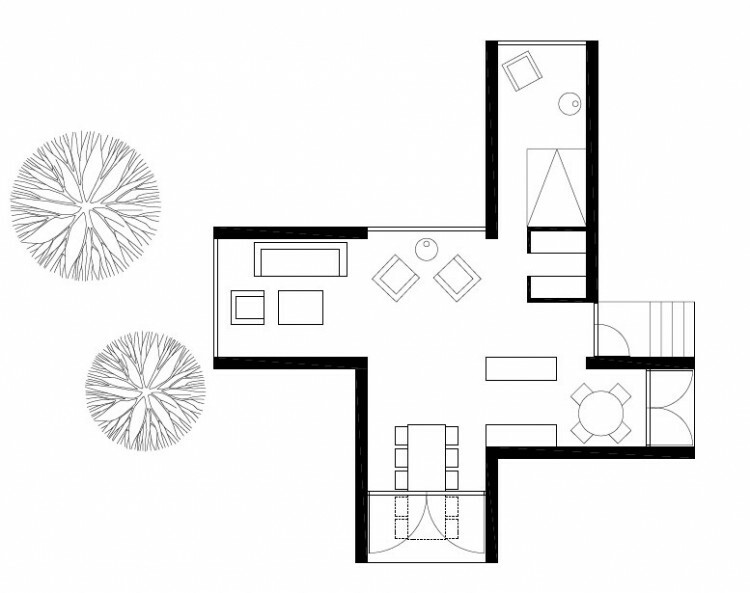 The cross like shape of this simple villa reaches towards four very different views. 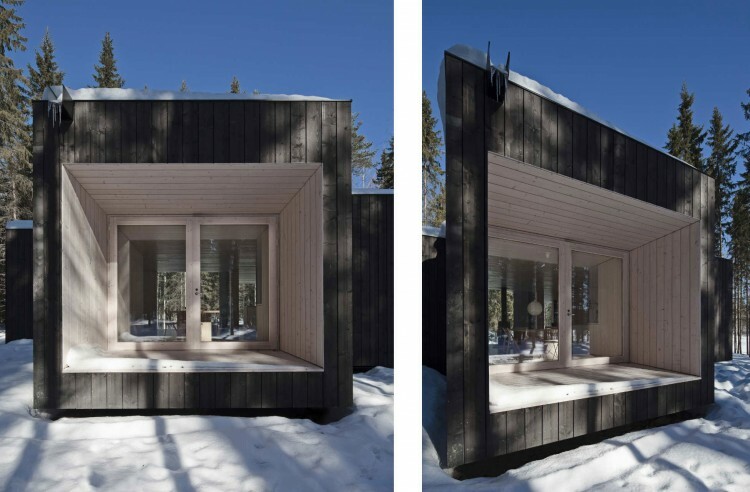 The space is open and defined at the same time. 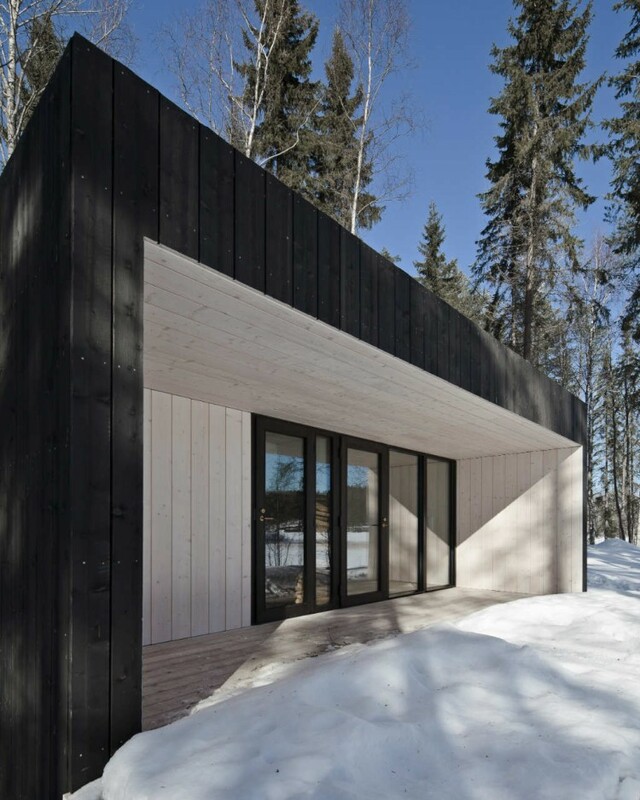 The exterior is treated all black and to contrast the interior is very light. 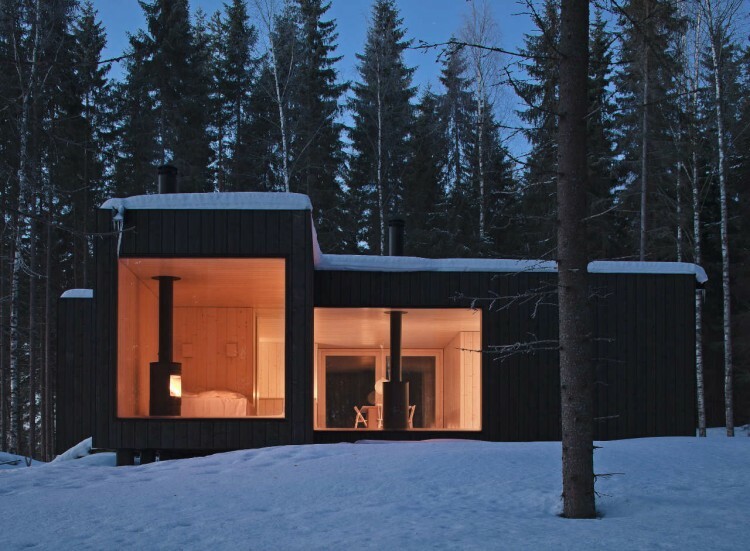 Dark color makes the building disappear totally when seen from the lake. 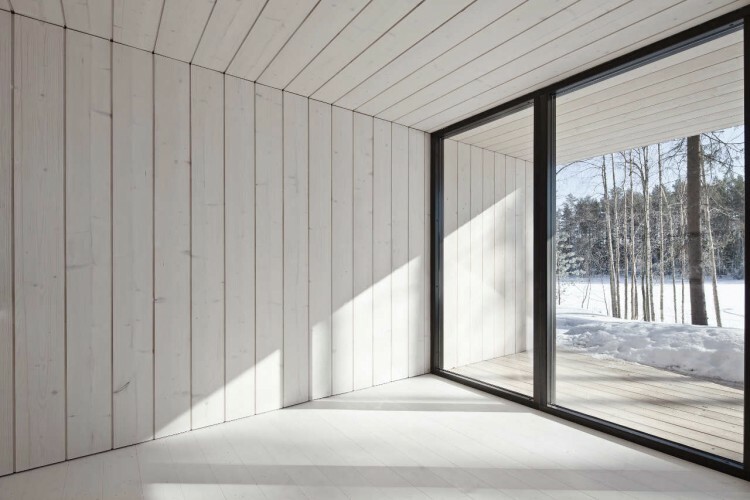 The roof is flat – there is some warm irony to the clichés of modern architecture. 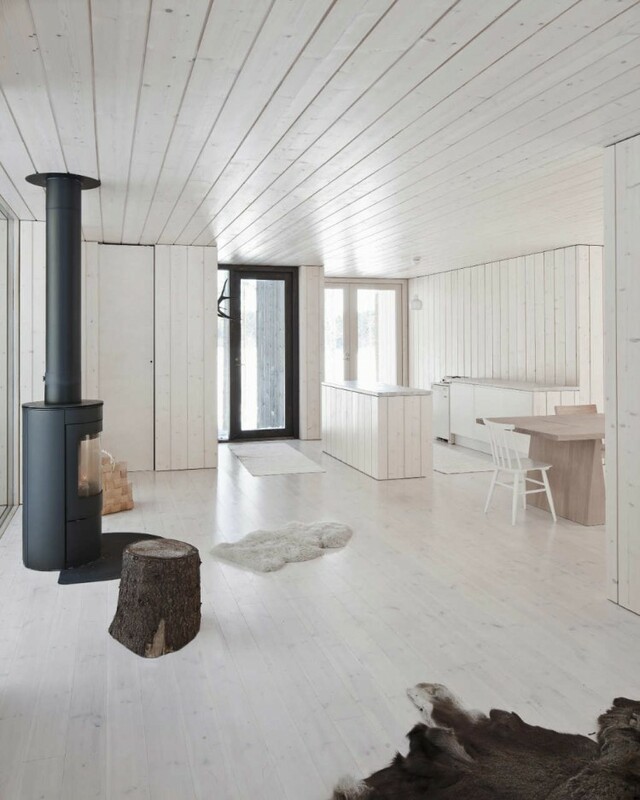 White!!?? 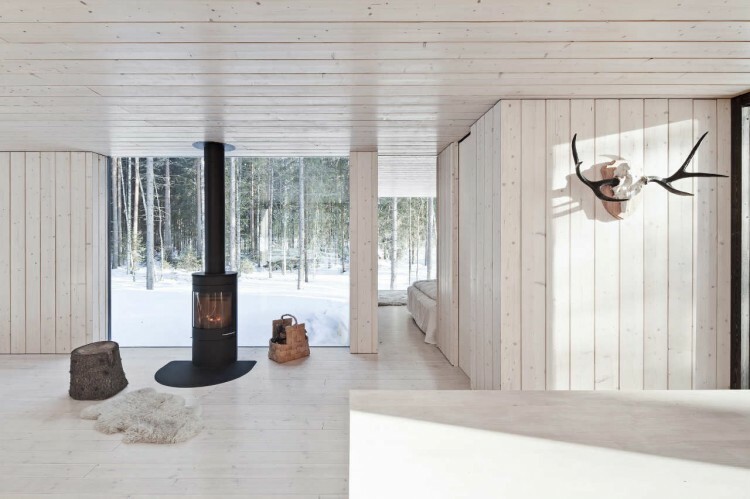 It’s already cold outside you know?